Decided to make a free icon template to those who want an icon by me but don't have the money or PayPal. 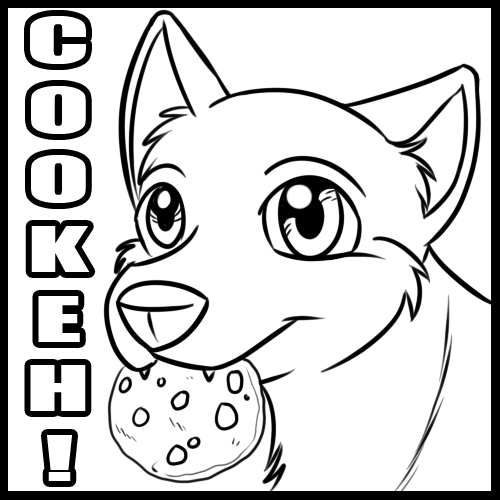 SO HERE'S A CUDDLY WUDDLY COOKIE ICON! There are many different varieties and I may be adding more species in the future, like reptiles and birds. This is absolutely FREE to color. No need to ask! * Make a new layer underneath the icon file's layer to color. * Don't know how to resize it? Go HERE, upload the image, and go to Image Size > Resize (Pixels), and enter in 100 by 100 and click the button and there you have it! * You can use it as your icon! * Feel free to turn it into whatever you want if your species is not here. * DO NOT USE THESE AS YOUR OWN ICON COMMISSIONS! * You don't have to ask me if you can use it. Go ahead! Which one is the wolf one? The first one could work for a wolf. Hehehe. neaty. I wonder which one would fit for a deer. I might make a deer one sometime.